Wormholes are fascinating (but theoretical) cosmological objects that can connect two distant regions of the universe. They would allow one to create “shortcuts” through space in order to travel vast distances in a shorter period of time. They are predicted by the general Theory of Relativity, and are what Einstein referred to as “bridges” through space-time. 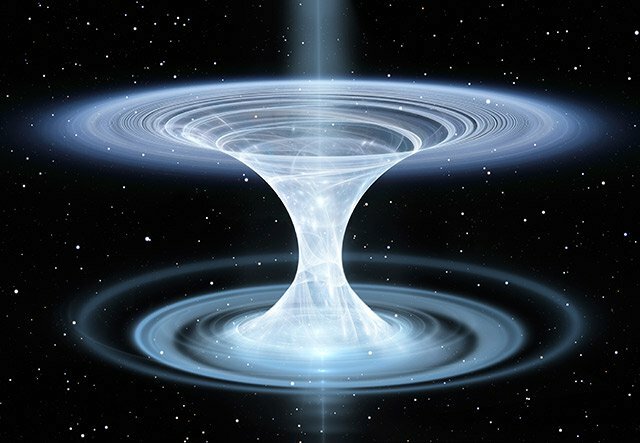 Wormholes are mathematically predicted, if not proven, and a new study illustrates how scientists have taken these theoretical anomalies – which many physicists believe to be real – and created one for them. What’s the significance here? Well, if a device can take a magnetic field from one spot to another, it could have a number of medical applications. For example, it would be possible to take pictures of the body with a strong magnet placed far away, releasing people from having to endure the small, tight environment of an MRI machine, not to mention the radiation that goes along with it. Via Nature and Science alert. Articol următor Meteor dog has crash landed on earth.